Rules are often made to be broken and that is a theme which should weigh heavily on your mind during this episode of Life is Strange 2. The impact of the previous episode is most certainly felt and it’s up to you to try and piece yourselves together, while salvaging some order in the ‘great outdoors’ as both Sean and Daniel. 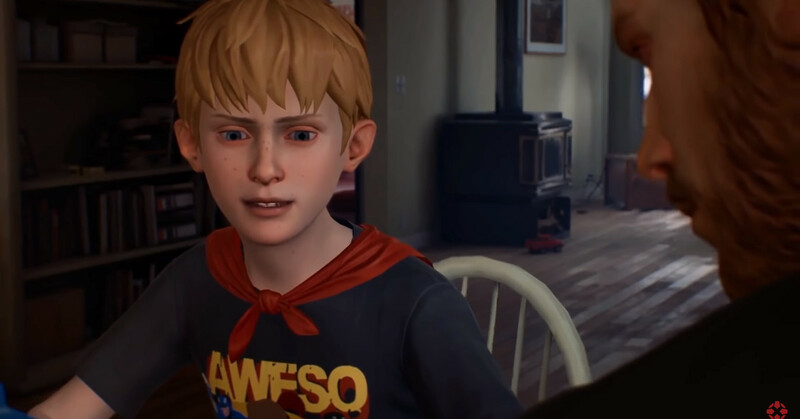 While it should go without saying you need to play Episode 1 – both before reading this review and playing this episode – you should definitely make the time to play Captain Spirit as well. This episode directly ties into that narrative and some of your choices will carry across. After being forced to go on the run, Sean and Daniel start the episode shacked up in an abandoned old house as both try to understand the young boy’s new abilities. It soon becomes clear that Sean has taken on the role of dad and is keen to set out some ground rules for Daniel who is eager to share what he can do with the rest of the world. As supplies dwindle and Daniel’s health starts to worsen, though, Sean realises they need to hit the road again, remembering his grandparents don’t live too far away. Sean only visited them when he was very young but hopes they’ll be able to take the boys in and look after them for a while. The first episode didn’t really delve into Sean and Daniel’s family life too much. We knew they had a dad and their mother left them at an early age, but it was more about the two boys relationship, coming to rely on each other. That’s where Rules steps in, exploring their relationships with other people while investigating their family tree in more detail. As such, it represents an important next step in the over-arching story and gives you some idea of the direction the next three episodes might take. It’s slow-paced at times, and comparatively breezy compared to the first, but when the big moments come, they hit all the harder for it. 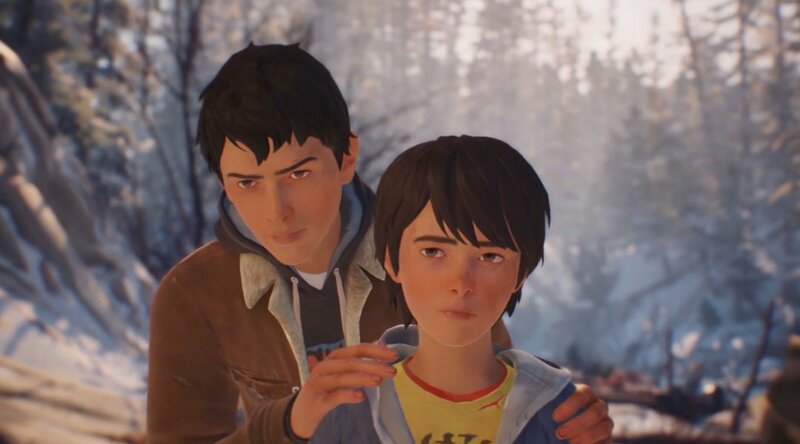 Part of me still wonders what the end-game is for Life is Strange 2, though. The original was full of smaller, sub-plots as you wandered through the school. The characters were more clearly defined – even though Chris had his own mini-game last year – and the mystery of Rachel Amber really carried you through. The sequel is much more insular as the boys mostly keep themselves to themselves, trying to avoid the outside world and stick to their own set of rules. The boys still have a seemingly clear end-goal of heading to Mexico, but there are certain revelations in this episode which could derail that depending on how things play out. Based on how big some moments have been this season, you suspect it won’t be plain sailing either way. At times, Rules is heartbreaking, shocking, comforting, and warm. It shows Dontnod are completely unafraid to put their characters through tough, demanding situations in order to get the most out of their character development. In that regard, Life is Strange 2 is far from boring, but you have to think the next episode will need to notch things up another gear to ensure the narrative doesn’t suffer from midway padding. Sadly, this one did suffer with some bad technical issues, though. One time the episode locked up completely when I was close to the end and I had to reboot. Sometimes there were long delays between lines of dialogue which allowed some odd interruptions to creep in. Loading was also a real downer in Rules, one time forcing me to wait over a minute before anything happened on the screen. And sorry to say, drawing gets really dull, really quickly. Fortunately, it’s entirely optional. It’s also disappointing Rules can’t be purchased as a seperate download. For the time being, the only way to play is if you purchase the entire Season Pass. People like the option to be able to buy content as and when they want it or may not necessarily be able to afford a full season in one go. This payment model currently excludes them. On the whole, though, Rules is a good and well-needed follow-up episode. We get to learn more about the boy’s family, but also give them a necessary break from the horrifying incident in the pilot. They’re just two young boys who’ve been thrust into an impossible situation, so they deserve to spend some time playing with trains and rolling dice. It’s good to see them live a normal life, doing chores and eating good meals. Because we know Life is Strange and we know Dontnod. Something bad is brewing in the background and it won’t take long for everything to fall to pieces before this season is all said and done.